Why are you willing to spend all your energy on cleaning your rented property before you move out? We understand that you want to receive a full refund on your deposit money, but there’s a very easy way to get it without scrubbing and polishing every surface in your rented property for hours on end. All you need to do is contact us and book our professional end of tenancy cleaning services. We are a professional cleaning company based in Hampstead and we offer professional end of tenancy cleaning services available for booking throughout the week, even on bank holidays, too. Book us at your convenience. With us, you’ll get a full refund on your deposit money. 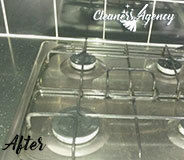 Our end of tenancy cleaning services are always delivered by a team of professional cleaning technicians. Each member of our team is a certified cleaning expert with more than a year of experience in the field of professional cleaning. Our technicians will come to your property precisely on time and they won’t leave until they sanitize your property completely. The service we’ll perform in your property consists of a series of cleaning tasks. In your kitchen we’ll clean and disinfect all kitchen surfaces, clean outside and inside of all kitchen appliances, clean and polish sinks and mop hardwood floors. Please note that our professional cleaning company performs professional oven cleaning as part of our end of tenancy cleaning services – and we’re the only ones in Hampstead who do it. In your bathroom and restroom we’ll clean all tiles top to bottom, disinfect sanitary ware, clean mirrors and treat the rooms against mold and mildew if necessary. We won’t turn a blind eye on your living areas and your bedrooms, too. We will clean doors, picture frames, windows, we’ll dust all surfaces, vacuum carpets and mop hardwood floors. With us the full refund on your deposit money is guaranteed. Our professional cleaning company is based in NW3 and our end of tenancy cleaning services are available for booking throughout the week and also on bank holidays, too. 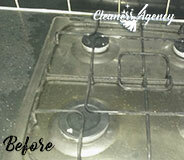 Choose us for the end of tenancy cleaning. 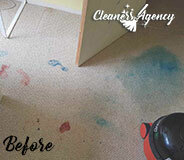 The end of tenancy cleaning services of your company are truly the best in the area. I had the chance to book other companies’ service but they did not manage to meet my requirements. Now I know that you are a far cry from them. Thanks for the help. With a large team of experts who are ready to get to work, this is one cleaning service that you could give a go at. We go from house to house, maintaining the hygiene and order of every household that has hired us. We are dedicated and work very hard, and we never let the client down. 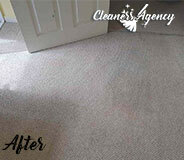 Ever since Cleaners Agency London was created, its goal hasn’t changed. We wanted to help people by keeping their homes clean and saving them lost of time. And it started off with a small team providing its services in the district and gradually expanding and growing its team and experience. Now our services reach many parts of London, and we cover them without any problem. Our team always makes sure to be on time, and they always provide the client with high quality, professionalism and excellent results. The job is done properly only when the client is satisfied. If you are a tenant who changes homes and needs help with the final cleaning of the leased property, why don’t you turn to our company and give our end of tenancy cleaning services a try? We are a well-established cleaning company and we have been in the business long enough to know what our customers expect from us. If you entrust the property to us, we can assure you that we will leave it spotless. Each cleaning session is done by master technicians who have been professionally trained to a high standard. Each of these wonderful people is background-checked, vetted and insured. We are sure that you will fall in love with the end results! Not only are our cleaners extremely trained and experienced but we provide them with ultramodern cleaning equipment, too. The equipment comprises environmentally friendly cleaning products which are strong yet safe. Once the cleaning is done, the rented property will be looking at its sparkling best. Thus you can take comfort in knowing that you will be leaving on good terms with your landlord. What is even more, you will be able to keep the security deposit in full. Find us in Hampstead.